The glass lens on the fixture can break, posing a laceration hazard. Cree Technical Support toll-free at (800) 425-4653 from 7 a.m. to 5 p.m. CT Monday through Friday or cxbseriesrecall@cree.com or online at www.cree.comand click on “Support” and then “CXB Series Recall” for more information. 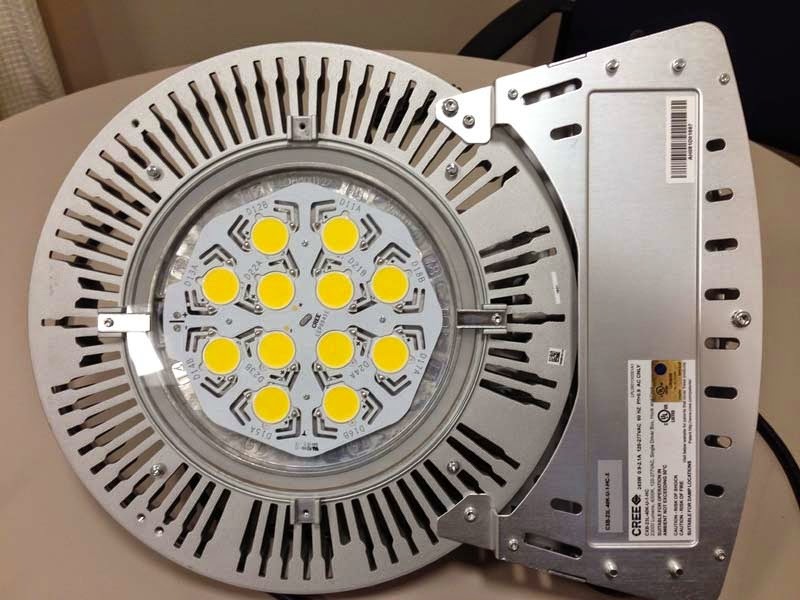 The Cree logo, model number and 23000 lumens are printed on UL label on the rim of the fixture. The firm has received 15 reports of the tempered glass lens breaking. No injuries have been reported. Stop using the light fixtures immediately and contact Cree for free replacements. Cree is contacting purchasers directly. Wholesale electrical distributors and lighting contractors to businesses from January 2014 through April 2014 for approximately $350. Cree Inc., of Durham, N.C.